The Christmas holiday is full of bright, beautiful colors which are perfectly reflected in gorgeous Christmas trees around the world during the holiday season. 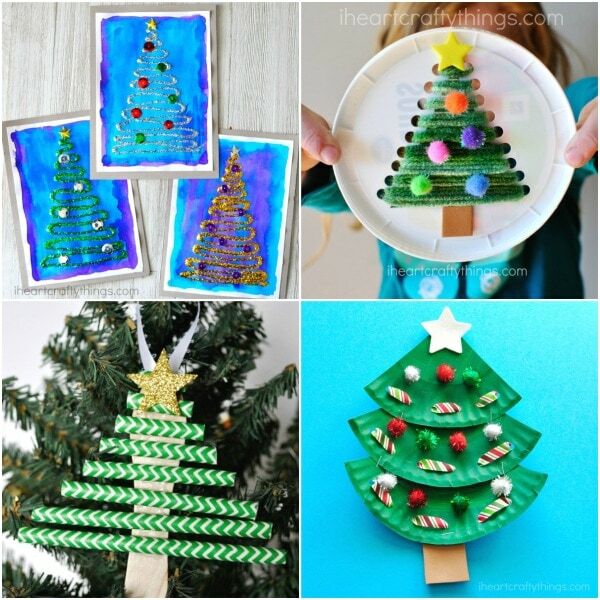 This is one reason I love making Christmas Tree arts and crafts projects so much. 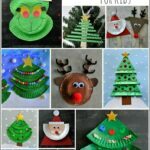 There are so many different materials you can use to create beautiful Christmas crafts so today we are sharing some of our favorite creative Christmas Tree Arts and Crafts ideas for kids. 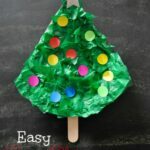 Not only are these some fabulously creative Christmas tree arts and crafts ideas but most of them use simple materials that are commonly found around the house like paper plates, cupcake liners, colored paper, yarn and tissue paper. 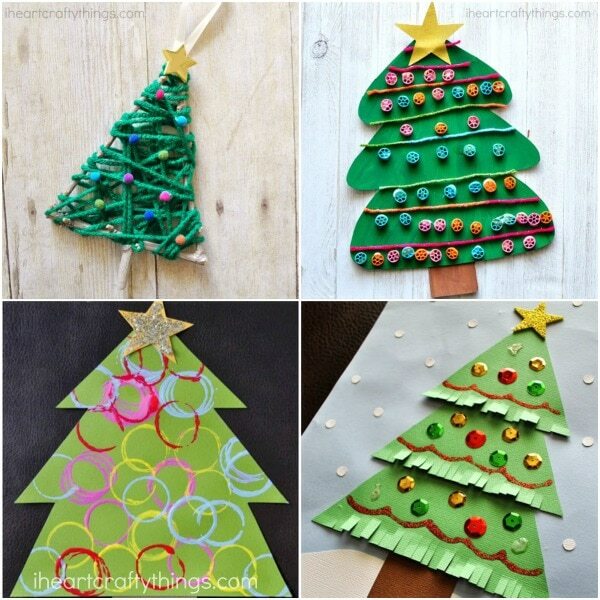 So if you are in a pinch and are looking for last minute Christmas tree arts and crafts ideas, look no further! 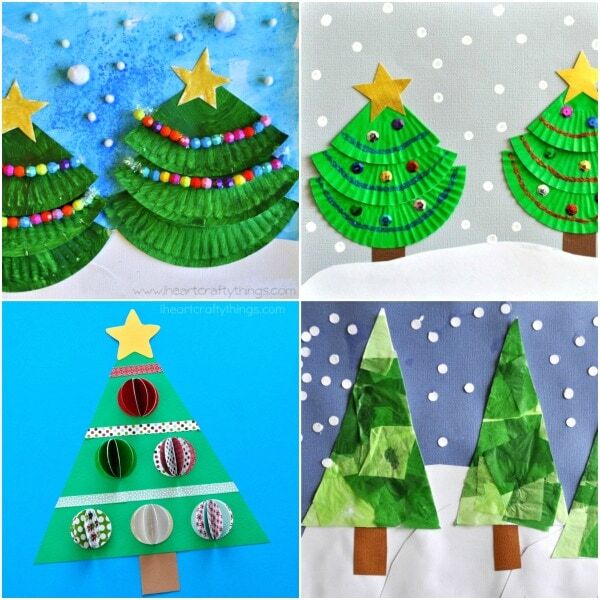 Click on the title links underneath the photo collages to be taken to the full Christmas tree crafts tutorials. 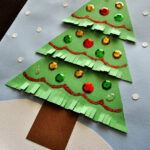 If you would like to share this post (please do!) we would appreciate if you would use the top square image for social shares or the vertical image at the bottom for pinning. 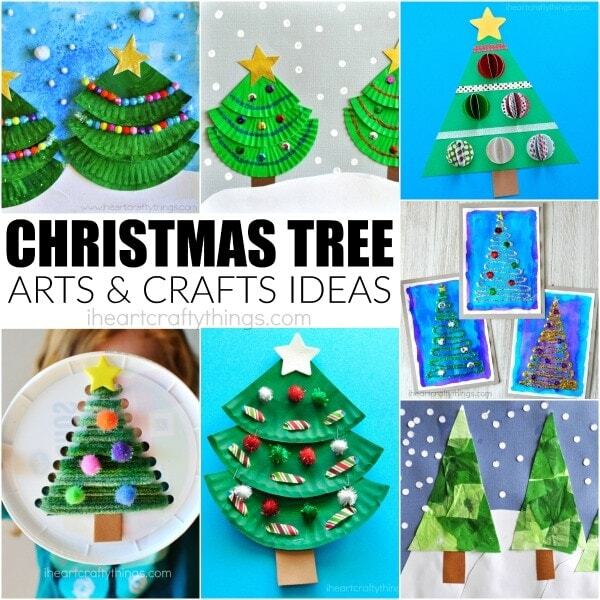 Looking for more creative Christmas tree arts and crafts ideas? 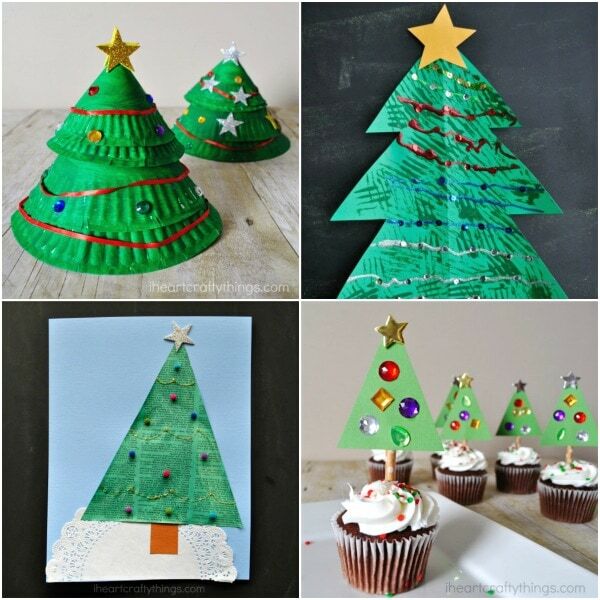 You’ll love these beautiful quilled Christmas tree cards or this paint scrape Christmas Tree Art. You might also love these adorable unicorn Christmas ornaments.